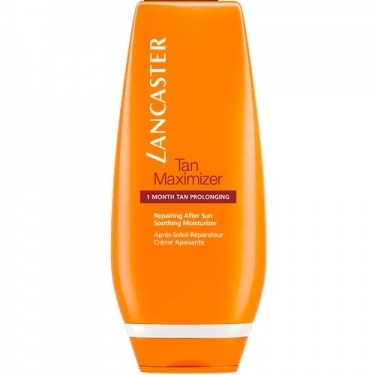 DESCRIPTION: Tan Maximizer Soothing Moisturizer from Lancaster is a post-solar restorative cream, comforting and suntan lotion for all skin types. Helps moisturize and regenerate intensely, while prolonging the tan. It contains moisturizing agents, repairers and tanning activator complex (TAC), for a moisturizing, restorative, calming, tanning and softening action. Rapidly absorbed, it moisturizes intensely for a feeling of immediate comfort.